Discussion in 'Classic Manual Cameras' started by Two23, Aug 29, 2018. I've just returned from a trip to Seattle/Washington state. I didn't take tons of photos, but got my share of nice ones. I used a Nikon D800E for many, but also a 1937 Voigtlander Bessa RF (with 105mm Heliar,) loaded with FP4. My best shots from that camera came from the Scab Lands and downtown Seattle. I always have fun wandering in larger cities with a film camera & b&w film,and decided to send my Kodak Bantam Special in for cleaning & service. The repairman said someone has switched out the front cell of the lens and it wasn't fixable! It's such a cool little camera, hate to end up selling it for parts. I could buy another, or buy a parts camera and fix the first one. I do like the camera, despite the funky 828 film issue. Another thought is I could just get a whole 'nother camera! I liked the Baby Rolleiflex so I bought a very early one, sent it off for CLA. But what else is out there? 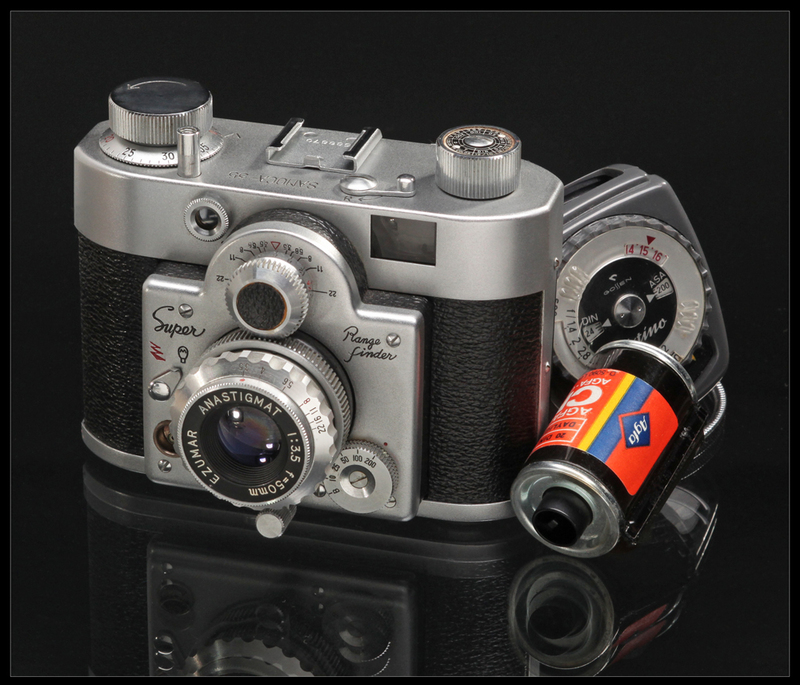 I want something that looks really nice, and it has to have a very high "cool" factor, like the Bantam Special and Baby Rollei. I'm looking at Kodak Vest Pocket Special (the early ones, and with fancy lens,) or maybe something like a Rollei 35s? The coupled meter on that one attracts me, it's modernity repels me (made after WW2,) but it is pretty cool looking! What else is out there? I'll mention the other small and cool camera I have is an Ansco Memo, from about 1929. Here are four which provoke a lot of "Kool" comments when I use them. 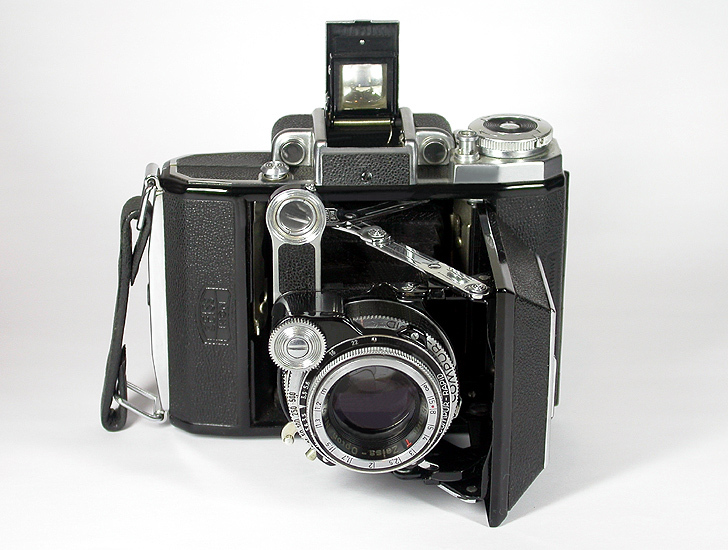 Agfa Isolette II. Common 120 film, Prontor shutter has 10 second timer for "selfies". Weston 853 meter is straight out of art deco, although it is early 50's like the camera. Voightlander Vito II. 35mm with a super sharp lens. It, like the Agfa, is zone focusing so you get to twiddle with everything. Both are folders. The Vito will fit into your jeans back pocket, the Agfa will be a tight squeeze. Just don't sit on either. Love the blue bellows on the Isolette 2! Yes, there is "cool" factor there. bertliang and terrymc like this. bertliang and marc_bergman|1 like this. The Baby Rollei takes 127 film which is almost as difficult to find as 828. Of course with practice you can slit 120 down to size or roll up a length of 35mm in 127 paper and live with sprocket holes in top and bottom of frames. 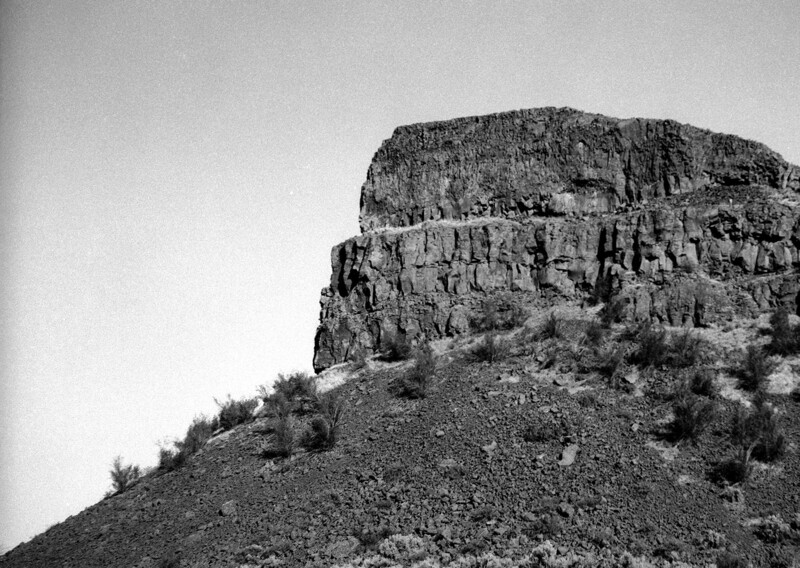 Any of the Rollei 35's are good. I like my B35 for its light weight and selenium meter, but I like my 35S for its f 2.8 lens. Small, works well and terrific looks. 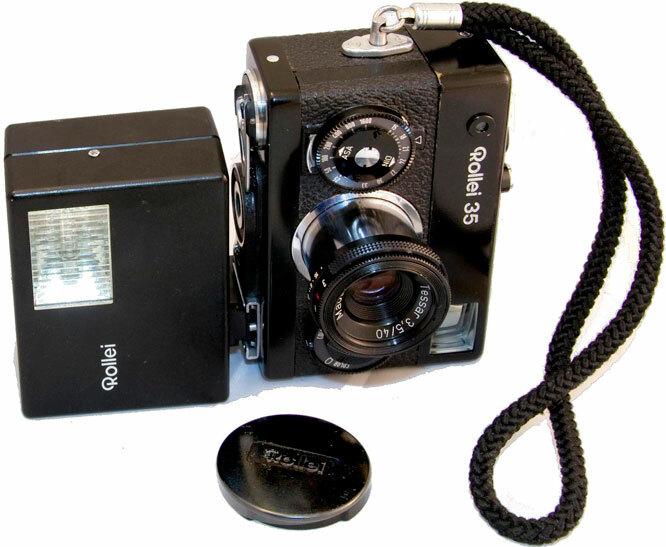 If I decide to take along a simple small camera it is the Agfa Ambi Silette. As simple as it gets, a bit limited in shutter speed but easy to find and inexpensive. 35mm too. * Super Sport Dolly, a 1930s folder for 120 film; either 2¼-inch square or 6x4.5cm, depending which mask you have in the back. Mine has a coupled RF. * Zeh Goldi; again a 1930s folder, for 3x4cm on 127 film. Scale focus. * Yashica 44LM, like the baby Rolleiflex; but 1950s..
* Zenit 3 (one of the early Zenits with 39mm lens thread), with at least a standard and a wide lens. My 'long' lens is the 85/1.5 Helios 40, which is big and heavy if you're not sure you'll use it. Again, a bit young for the OP: so, what about an Exakta? 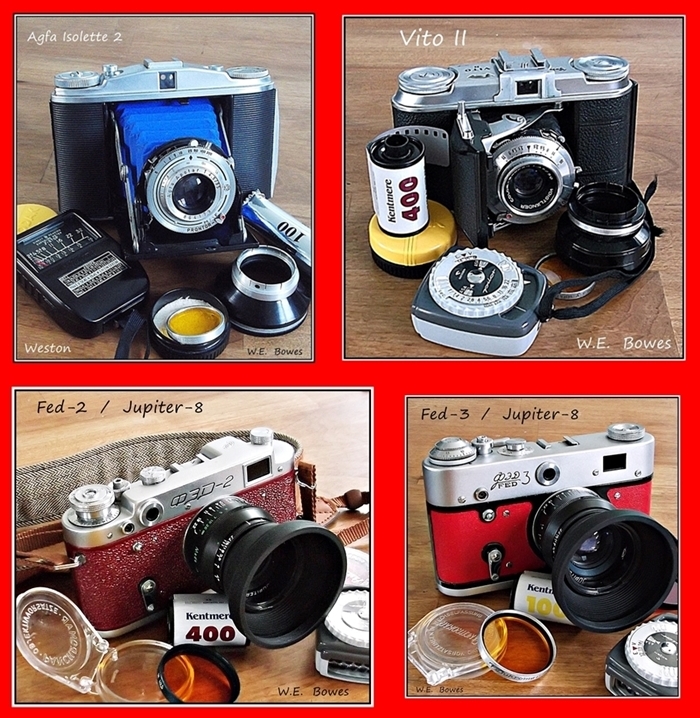 The Agfa Ambi Silette is a good suggestion. Very much like it is the Lordomat also 35mm. It may not be retro enough for you, but it's really hard to beat the Olympus XA. Just a solid, great little rangefinder. Yeah, plastic cameras just don't do it for me. I've heard it's very small and the lens is excellent though. Right now I'm leaning towards a second version Kodak Vest Pocket Special autographic with fancy lens, or the Samoca 35 Super! What about an Olympus Pen FT? Granted it has the downside of being half frame, but the optics are outstanding, it's small, and it's a well built piece. Looking Cool vs. doing a great job, film or digital, never cared / or considered how others might appreciate my cameras - just me, I guess. One mustn’t let one’s fans down. Over the last 40 years I only managed to make one happy it seems. I was always, and remain, a big Classic Pentax fan in a Canon / Nikon world. I never seem to catch up with the trends. Closest I come is when they circle back ‘round and pass me again. I must admit I have enjoyed that with the film thing recently. Mostly in showing my old cameras to youngsters. Drag out a Agfa Record 3, with its blue bellows & watch what happens with the phone crowd. . .it is comical !! not ergonomic at first, but easy to accommodate to. Sandy Vongries and charles_escott_new like this. I "cool" is to be judged from the reaction of bystanders, in my own experience it is very difficult to beat a Super Ikonta 531. Plus - convenient format, superb build quality, excellent lens, and truly pocketable. bertliang, mwmcbroom, charles_escott_new and 1 other person like this.